Description Hordes of undead are approaching! Your mission is to stop them in their tracks by deploying your SAS men and automated turrets in strategic locations throughout each area. SAS Zombie Assault returns as a Tower Defense game! Play 6 maps in Normal, Elite, Nightmare or Apocalypse modes. Pass each map to earn achievements and Awesome points, and also earn valuable SAS dollars to unlock powerful upgrades, buy helicopters, airstrikes and even nukes to help you out. 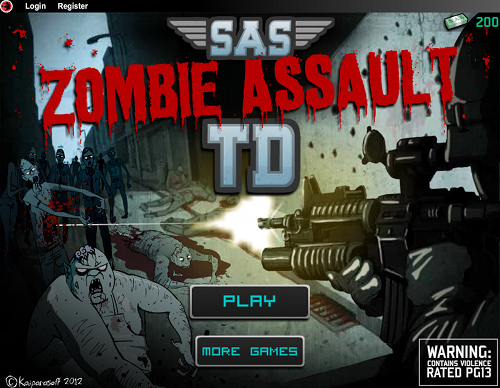 Play SAS Zombie Assault TD now!